TopVue Air are silicone-hydrogel contact lenses with a monthly replacement schedule. 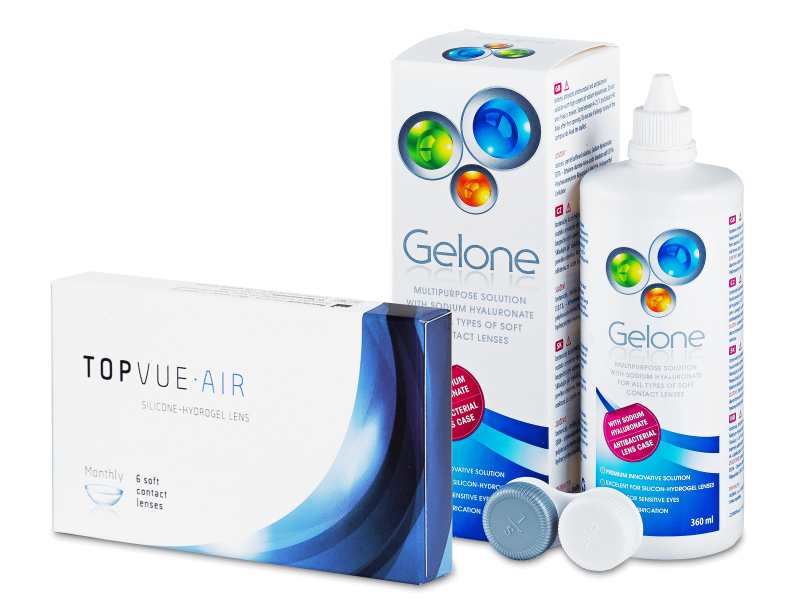 This economy package contains six lenses and one 360 ml bottle of Gelone solution with an antibacterial lens case. 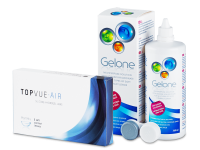 TopVue Air are the latest generation of advanced silicone hydrogel contact lenses with a monthly replacement schedule from TopVue. These highly breathable lenses also retain moisture to ensure all-day comfort. An advanced lens design and technology guarantee unparalleled comfort. Really pleased with the topvue lenses. Seem to be a much better value that the other expensive brands my optician usually offers me. Great products and prompt delivery - will definitely order again!